This 7 week course will take you on a journey through the major chakra system. Week by week we will focus on a specific chakra and learn how to restore balance by using colour, meditation and crystals. 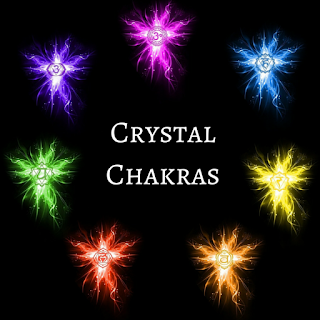 Each week you will receive detailed notes and a crystal to work with which you may keep so that by the end of the 7 week course you will have built your own 7 crystal chakra set to use for balancing and healing. Each week there will be a guided meditation specifically designed to work with the energy of the chakra we are dealing with and the crystal provided. You will have time at the end of each class to record your thoughts and keep a journal so that you can build up a real working knowledge of your own personal journey through the chakra system. Downloads of the meditations will also be made available to you each week and you can use these for your own personal use. CDs can be provided for a small admin fee of £5 if you prefer, at the end of the course. Classes will be run on Tuesday evenings from 7:00pm to 8:30pm. The next course will start in 2018 again. The total cost of the course is £70 and can be paid as £10 per week or alternatively if you decide to pay up front on the first night you can save £10 and pay just £60 for the course. It is important that you commit to attend all 7 classes as each one builds upon the energy of the last one. Any missed classes will not be refunded as you are paying for the space on the entire course so if you know you are not going to be able to attend each week then this course may not be for you. Please feel free to contact Debi if you have any specific requirements and she will try to assist as best she can. If you would like to join this course then please contact Debi and provide your email address and telephone number and Debi will confirm your place or use the button above to secure your place.